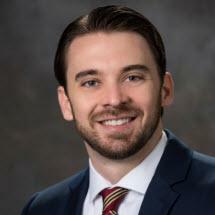 J. Michael Lins, is a third generation Floridian and Associate Attorney with Lins Law Group, P.A. While Michael shares the same name as D. Michael “Mike” Lins, the founding partner of Lins Law Group, P.A. and his father, he similarly shares a strong passion for the law and zealous advocacy for his clients. As a member of Lins Law Group, P.A. Michael stands for aggressive legal representation combined with individual client care. Michael is a resident of the Tampa Bay area and when he is not working, Michael enjoys hiking, fishing, and enjoying all of the experiences that the Tampa Bay area has to offer.